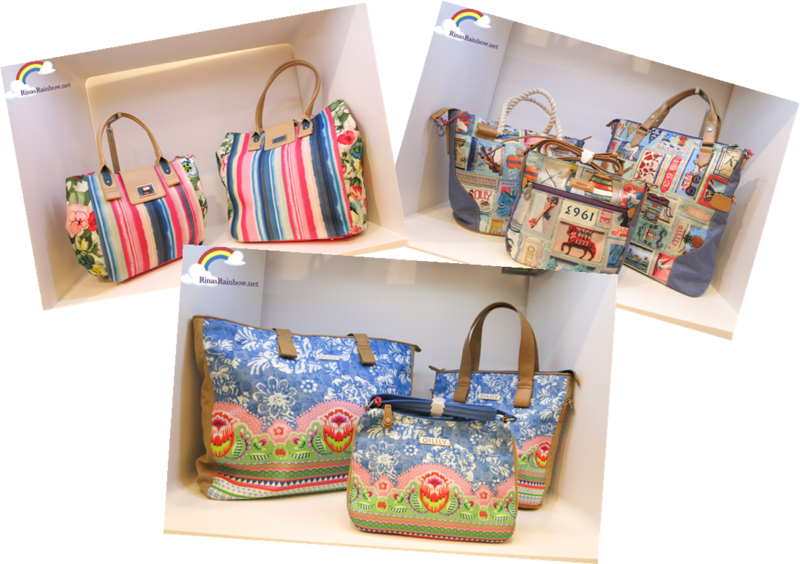 Rina's Rainbow: Oilily Now in Megamall! 20% Off Until End of August! 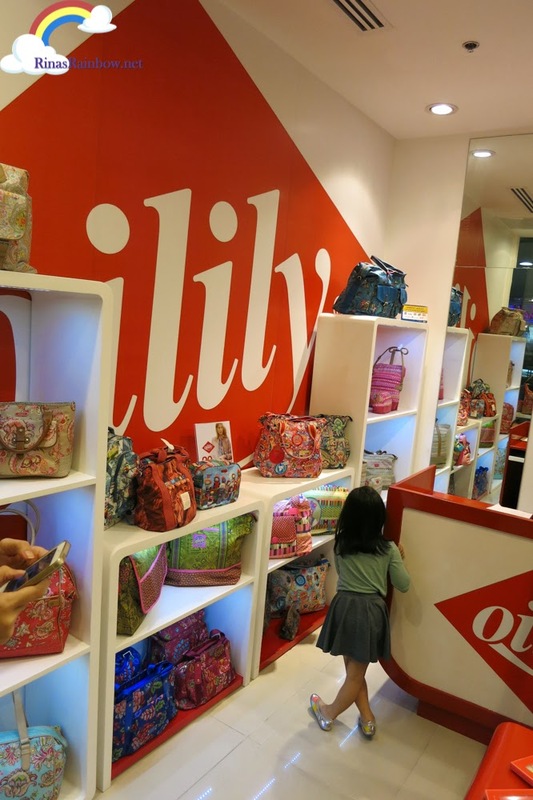 Oilily Now in Megamall! 20% Off Until End of August! Reading up on Oilily, I found out that it goes back in the year 1963 in Netherlands when children were often dressed up in grey, white, or black clothes only. I guess you could say that they didn't live in 'technicolor' times. Enter Willem and Marieke Olsthoorn, and all of that changed. 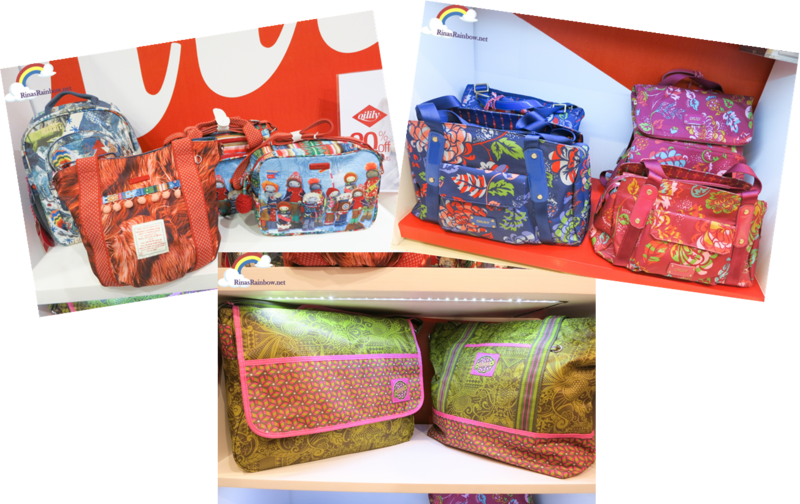 They started using children's colorful experiences as their inspiration for a brand that makes beautiful children's clothes. 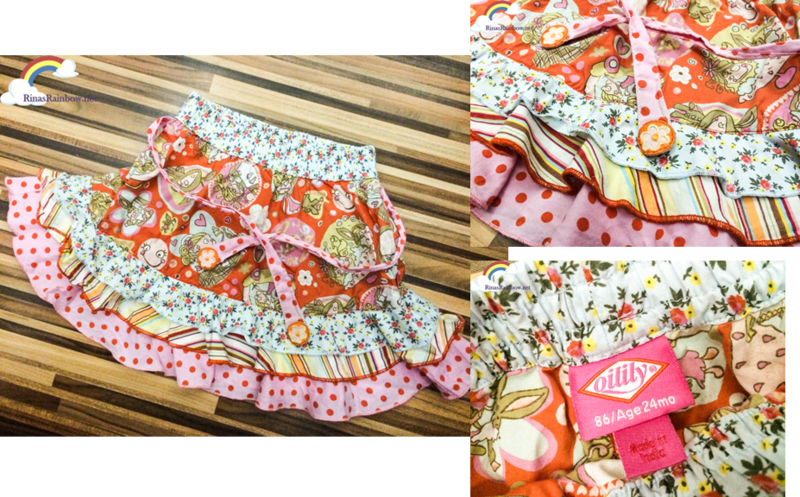 I was thrilled to see that one of my Little Rainbow's hand-me-down skirts (which I knew was from Germany) was actually an Oilily brand. I should have known based on the colors, patterns, and the wild combination! Anyway, I was also impressed to find out that celebrities were among their regular customers namely John Travolta, Madonna, Bill Cosby, and my idol Michael Jackson! So anyway, long story short, they eventually also started creating a line for women (wherein I also learned that Oilily’s Famous ambassadors of women’s clothing are actresses Julia Roberts and Melanie Griffith! 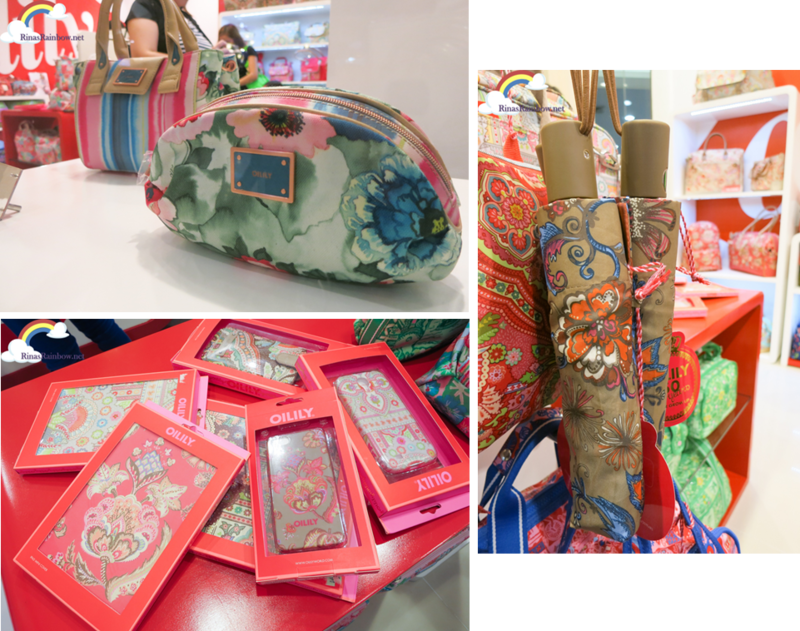 ), and then eventually they also started doing cosmetics and perfume! 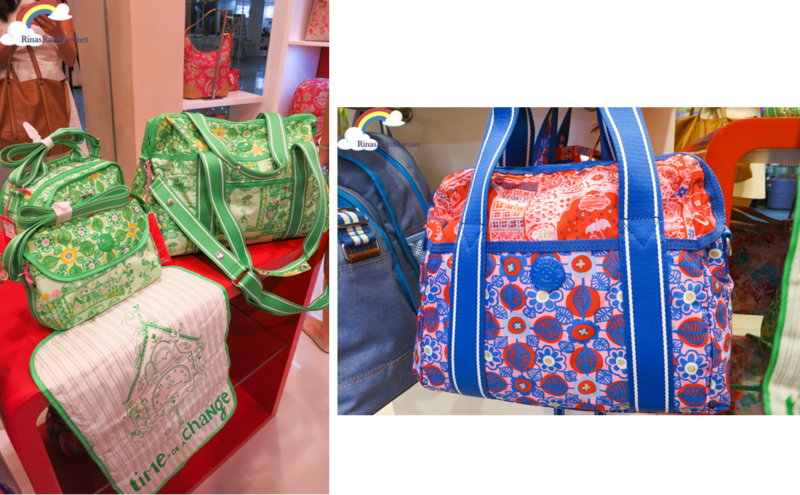 Different bag sets with pretty patterns! Remember that Oilily never repeats it's pattern per season. Never ever. So if you see a certain print or pattern that you just absolutely adore in this season's collection, really think about getting it because you won't see it ever again! And here's one of my favorites. I love how the pattern has lots of details but looks very clean at the same time. 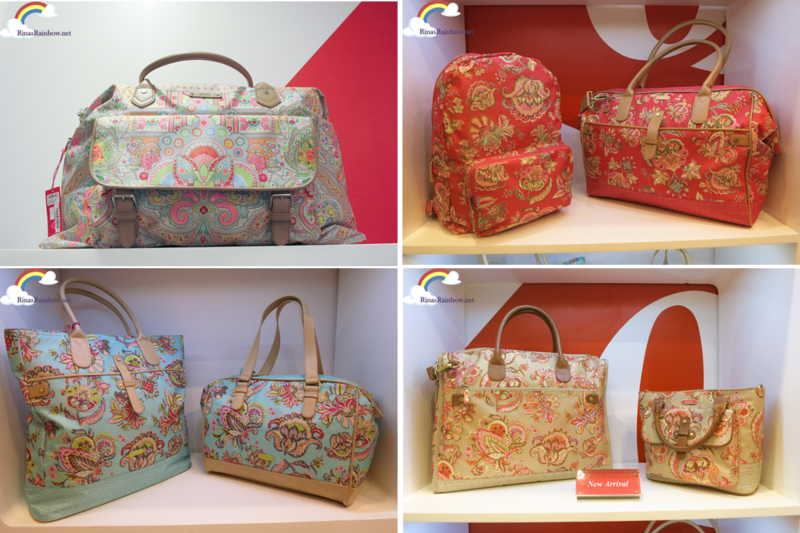 Looking for an attractive diaper bag? Check these out! The green one comes with a changing mat too! 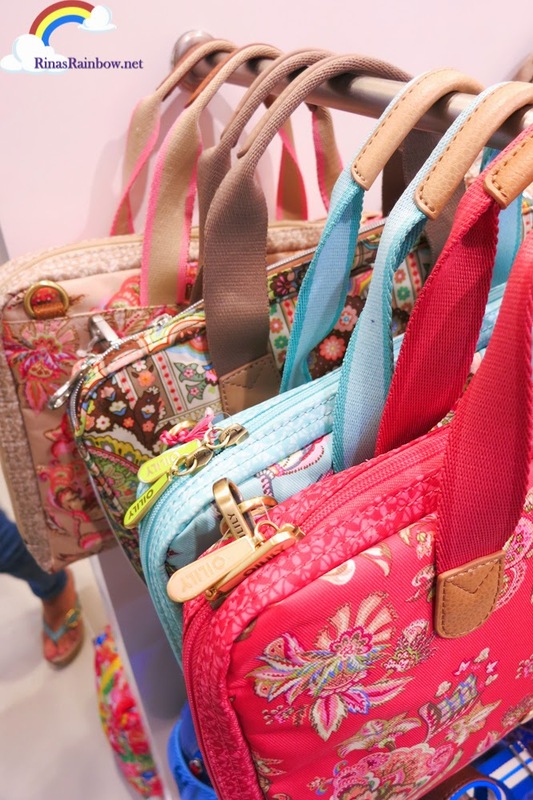 Amazing patterns and details on these bags! I believe these items are on 20% off until the end of August! 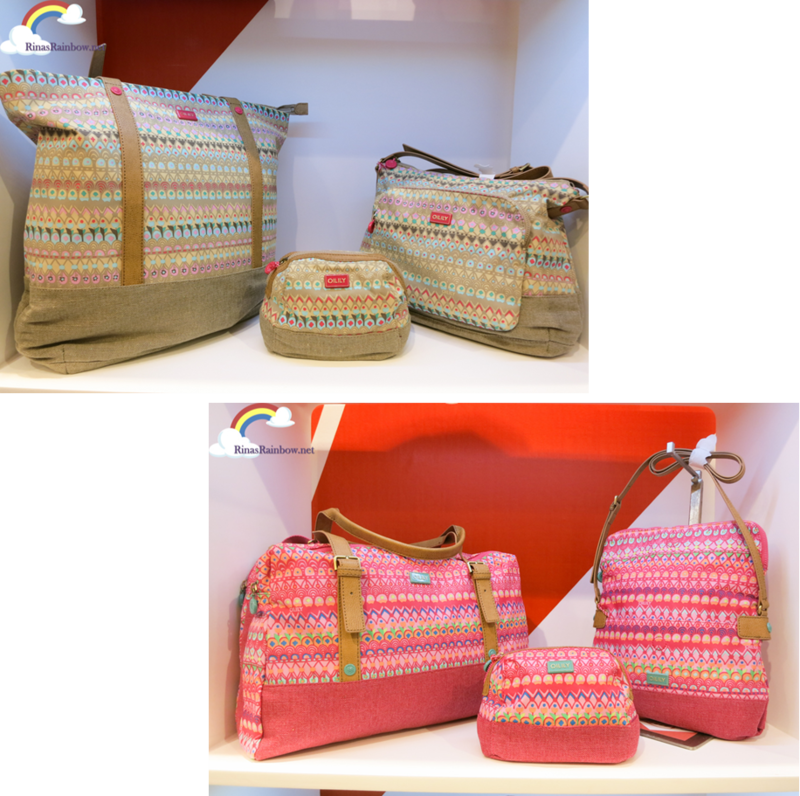 I can imagine taking these on a family trip like the beach, or a picnic. Oh and check this out! 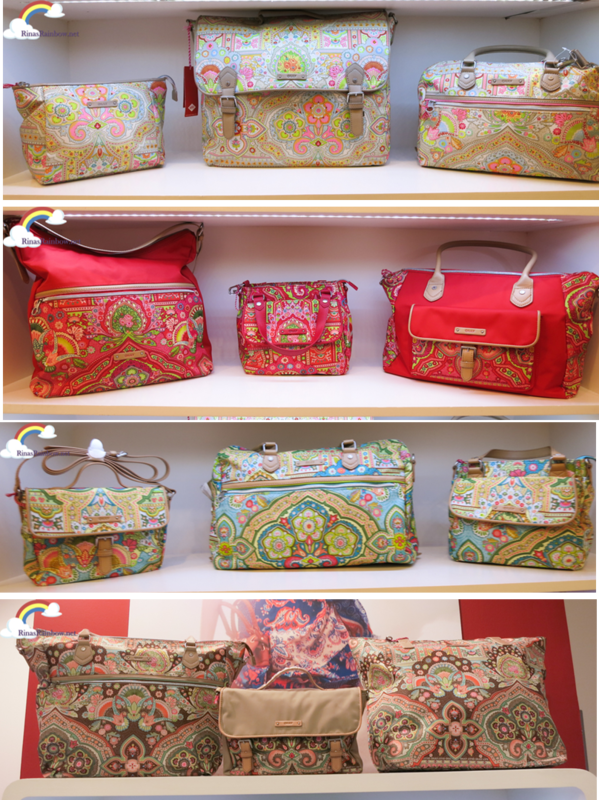 The small flat rectangular bag on the left, unfolds into a huge almost-duffel bag tote bag! 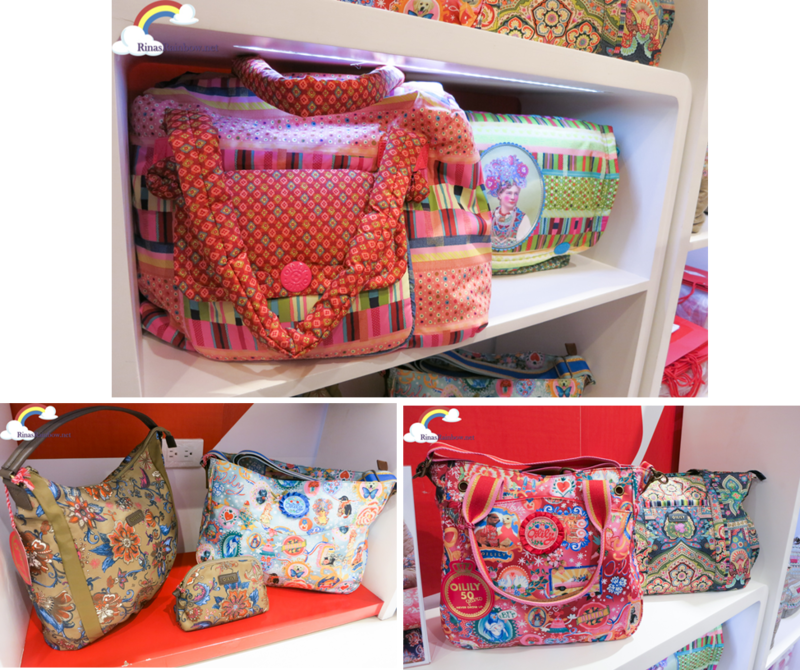 And let's not forget the tablet / netbook bags! 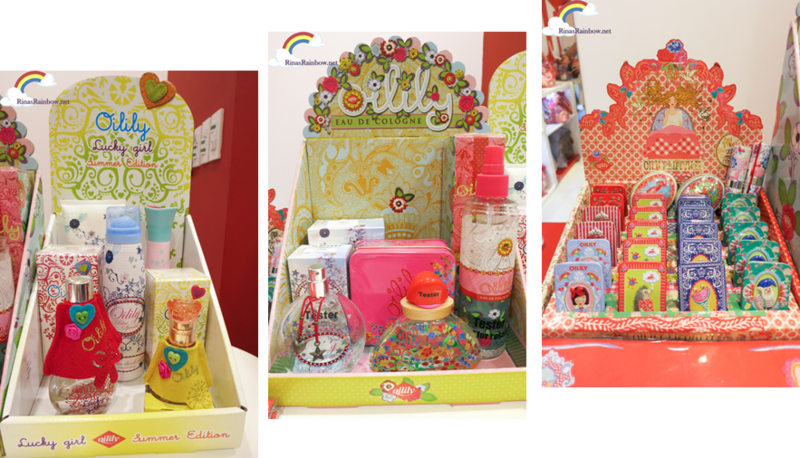 And as I mentioned earlier, Oilily Philippines also have the perfumes and cosmetics! 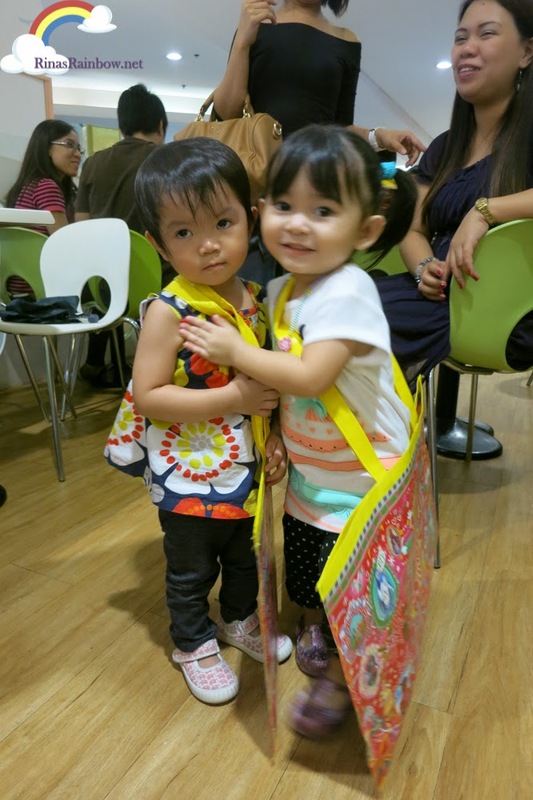 Rain and her new friend Lizzy loved touring the shop! 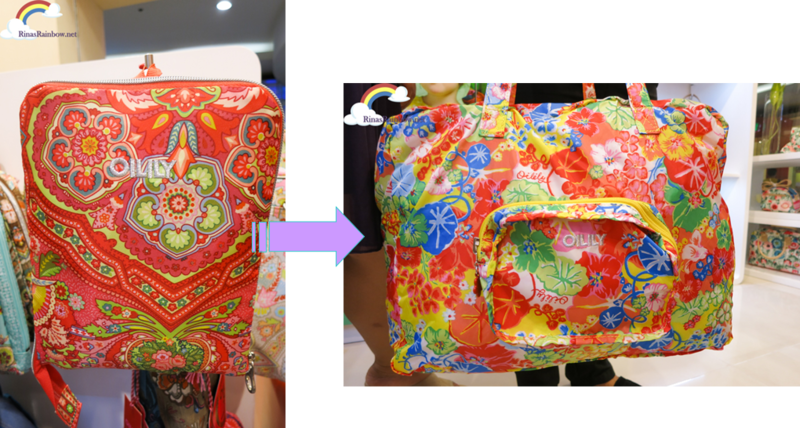 Next problem, what Oilily bag to buy hahaha!